Paper folding is a craft that can be tailored to all age groups. Boxes are a good place to start. This is a guide about making folded paper gift boxes. How do you make paper boxes? 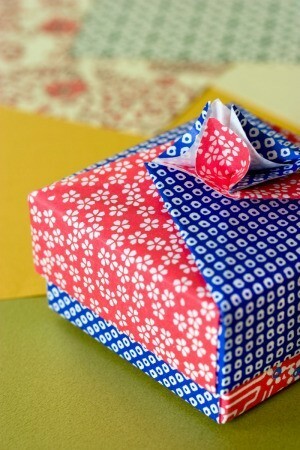 Here's a link to make a paper box, one with a square design and one with a scalloped design. Check under the "Craft-n-Stuff" section for the pictures/instructions. Try looking on http://www.HGTV.com website! Carol Duvual has a lot of crafty things on there! seems though it is cheaper to send what you want to print to your yahoo acct & go to the library & print it there ! i was looking for a site that you make the tiniest little boxes maybe like half an inch by a inch and i could not find anything does anyone know anywhere you could find them? to make? Paige, remember the Childcraft series (kind of like an encyclopedia set)? They had a craft book (make & do, i think volume 15) and I remember seeing a pattern you could trace and cut out. It was essentially 6 squares laid flat then fold up and around to tape and make a cube (you could put a flap on the top square for a lid. I am trying to mail out small items that look like the old cigar cases. Need to put them in boxes so the items inside won't crush. The items aren't cigars, just the tubes. I know it's possible, but I can't figure out how to cut the cereal boxes in half to make other skinnier boxes. Any suggestions? I really would appreciate it a lot. If you have a Michaels near you They carried a box maker from Martha Stewart I don't see why you cannot make your own It is a piece of plastic with grooves cut in it and you select the groove to determine the size of your box, place your material on the surface and run a ball point pen or stylus on your material over the groove this will put a crease where you want to fold it. I don't see why you could not take a piece of plywood cut a groove the thickness of the saw blade to your particular dimensions using the old-fashioned handsaw. A little more information would help. What size box do you need? What size cereal box are you cutting up? Please give all three measurements - Height, Width, Length. I am looking for instructions to make an 8-sided (octagonal shaped) gift box from 8 paper squares. It also needs 8 squares for the lid. I was shown how to do it, but can't remember the fold sequences.